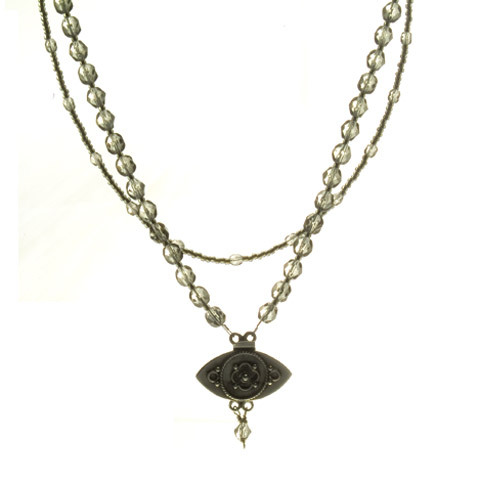 This double strand beauty is strung with smoky quartz colored glass beads from Czechoslovakia . These gorgeous beads compliment any color combination. The unique drop is actually a beautiful claps made of sterling silver.